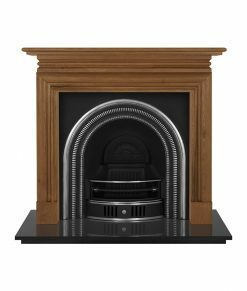 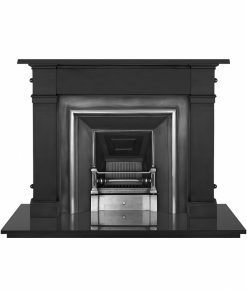 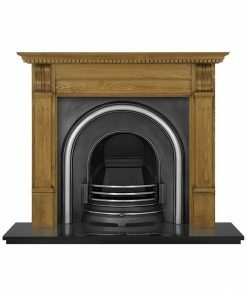 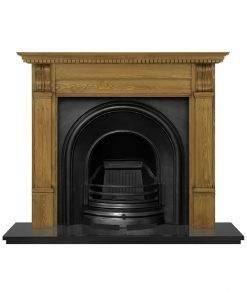 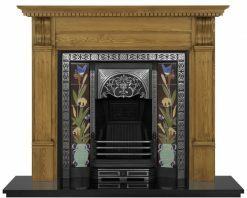 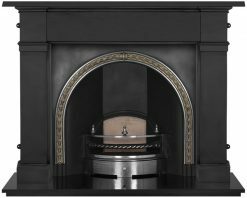 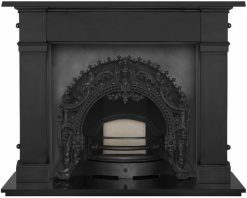 Fireplace inserts are designed to be fitted with a fire surround or mantelpiece. 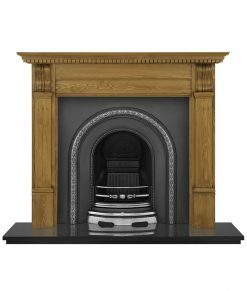 Traditionally made from cast iron poured into a sand mould, inserts come in a variety of styles with the most recognised being an arch design. 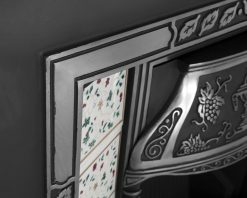 Cast iron inserts date from the 1840s late Georgian era, incorporating decorative patterned tiles by the late Victorian and Edwardian periods of the 1900s. These can be fitted with any of our Carron 6″ tiles. 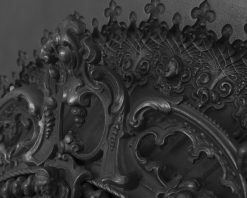 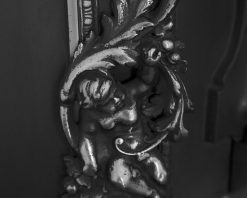 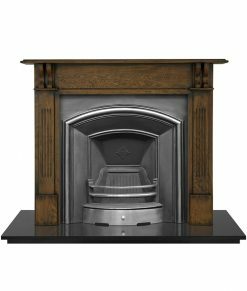 Cast iron inserts are equally suited to both period or modern interiors as a dramatic or sophisticated focal point. 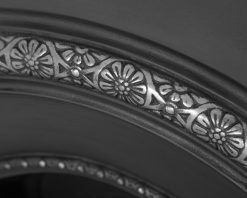 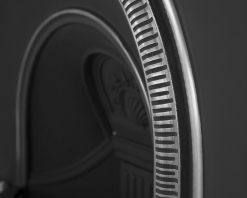 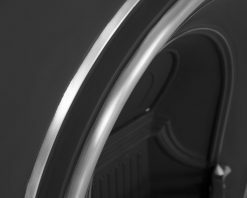 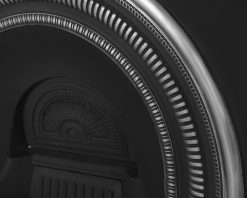 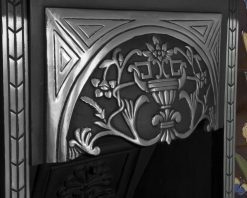 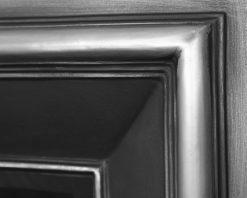 Inserts are available in traditional black, highlighted where raised patterns are buffed down to the cast iron to produce a silvered finish or full polish. 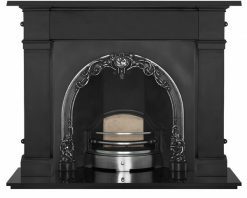 Cast iron inserts are suitable for decorative use, gas fires or solid fuels*. 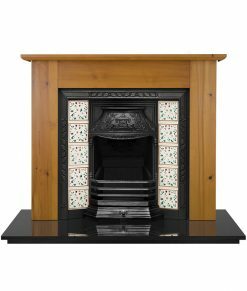 All fires will require a hearth, which we can supply as either polished or honed granite in various sizes. 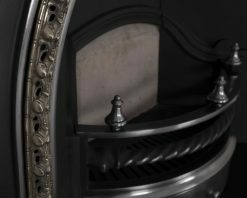 *Please note: Polished inserts may tarnish due to heat from real fires. 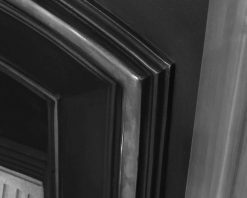 If in doubt, choose the black or highlighted options.